Yoga Hub Fest is located at Coastal Valley Camp & Craft set in a beautiful landscaped valley without a car or house in sight, an idyllic spot of Cornish bliss. 3 beaches in walking distance all accessed via public footpaths at the foot of the land. 1.25 miles, across the fields and headland is Watergate bay, (with good restaurants, surf shops and Jamie Oliver’s Fifteen). 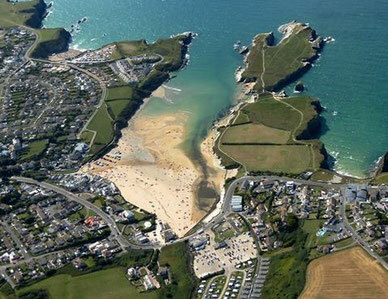 1 mile country walk to Porth Beach or Whipsiderry beach. You can use the sat nav to help you get here, or full information is below.